The technology utilizes Next Generation Sequencing to identify specific changes in DNA by sequencing multiple gene targets within multiple samples. The key to targeted sequencing is to amplify genomic regions of interest using PCR and specific sets of pooled primers. Working with specialists at Thermo Fisher, we are developing custom panels of interest for targeted sequencing. How the technology will be used in this project? 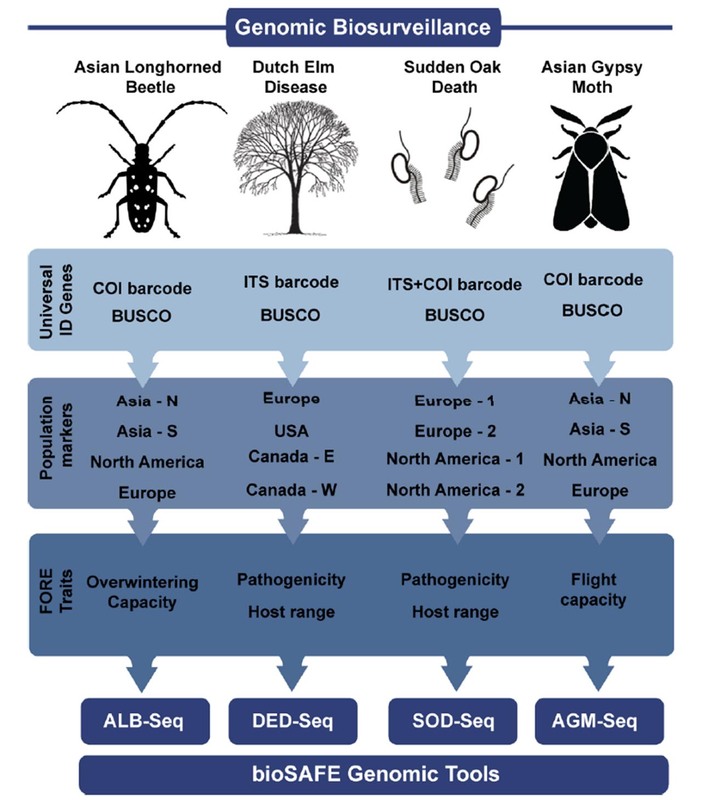 We will design AmpliSeq panels based on unique targets (pathogenicity; trait specific - flight capacity, cold tolerance; genetic traits – runs of homozygosity). Samples that have been identified as positive for our specific pests or pathogens will be tested with these panels to determine the extent of their invasiveness and their origin. A panel will be designed for each of the pests or pathogens. More details to follow as the panels are developed and tested.